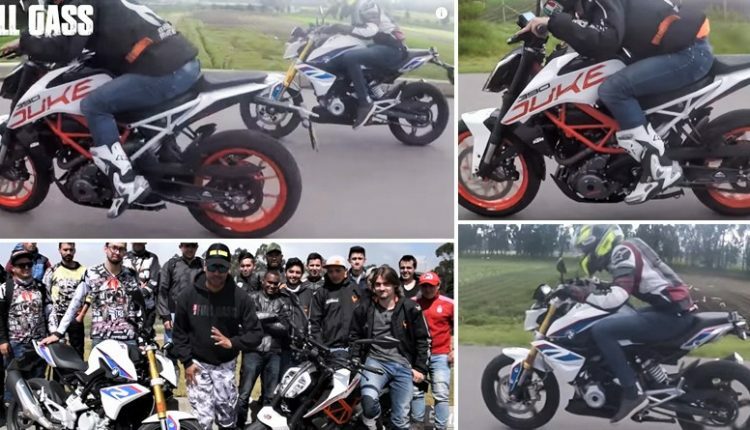 KTM Duke 390 Beats BMW G310R in a Drag Race: YouTube channel FullGass is back with another mouth-watering comparison. 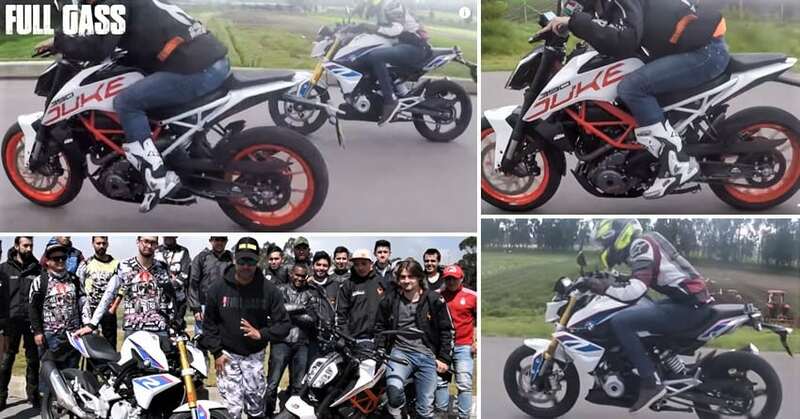 This time, they are here with the same BMW G310R but now against an amazingly powerful KTM 390 Duke. The change in rival motorcycle has resulted in BMW G310R losing the crown that it earlier earned by drag racing the Bajaj Dominar 400. The difference in acceleration is pretty visible as Duke 390 can be seen moving away from G310R in the smoothest possible manner. The difference in engine size and use of better technology on the Austrian machine helped it score much better on almost every term. KTM 390 Duke is the most powerful motorcycle of its segment, carrying a 373cc, liquid cooled and fuel injected engine. The motor comes with ride by wire technology and claims 43 HP of maximum power and 37 Nm worth class-leading torque. All this power is channelized through a 6-speed gearbox with slipper clutch. The sharper panels on KTM 390 Duke are more aerodynamically efficient and thus, reduces drag to get faster sprints. The motorcycle is priced at INR 2.39 lakh and uses an all-new TFT console with smartphone integration. It would have been even faster if strict norms would not have made that bulky side exhaust mandatory on the 390 Duke. BMW G310R, on the other hand, is beautifully crafted to take on lightweight street bikes of India. It seems more comparable to Duke 250 as the younger one also has claims impressive levels of performance. Still, the 313cc, fuel injected on G310R is good for 34 HP and 28 Nm. The premium pricing of both these bikes limits the number of buyers in almost all developing markets. G310R is now on-sale in India for INR 2.99 lakh (ex-showroom India). 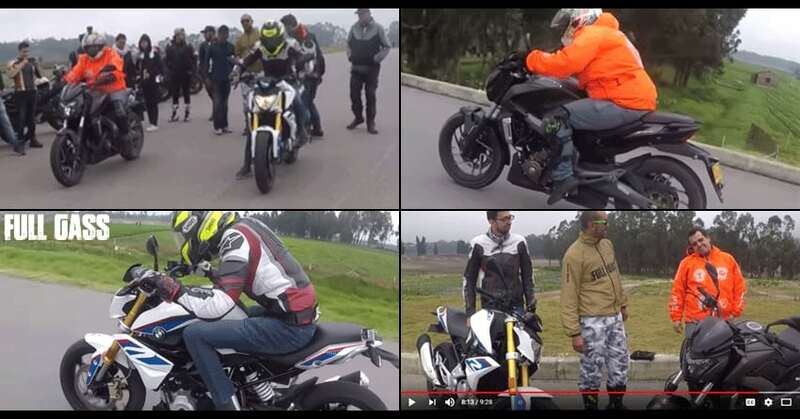 The bike claims a top speed of 143 kmph while KTM 390 was seen crossing 165 kmph (speedometer indicated) in many ownership and review videos.